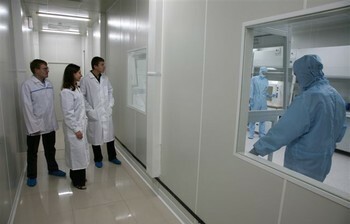 In 2010 TUSUR will develop and certify the staff retraining program to target investment projects of the «Rosnanotech» State Corporation in production of competitive nanoelectronics based on nanoheterostructure monolithic integrated circuits of microwave wave range and discrete semiconductor devices. 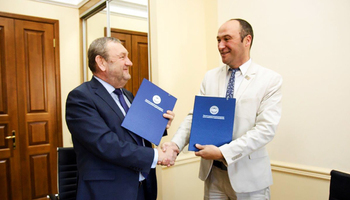 The new training program is being developed by TUSUR to meet human resource challenges of enterprises receiving investment of the «Rosnanotech» State Corporation. Creation of the national nanotechnology network requires significant increase in the number of competent staff members of science-intensive organizations and companies. However, at present there are just about 3000 students specializing in nanotechnology, and only 100 students who study microwave nanoelectronics. In 2009 «Rosnanotech» adopted its new concept of staff training. This document states that within the next five years nanoindustry is to achieve a ten-fold increase in its production volume and that the only way to resolve the problem of staff shortage in nanoindustry is to create a system of continuous professional training and retraining. «TUSUR makes its own contribution to the creation of this system», — says Nikolay Malyutin, Deputy Vice Rector for Research, director of the «Nanotechnology» Research and Educational Center. «Our faculty members are developing the staff retraining program and teaching materials in cooperation with Tomsk State University, Novosibirsk State University, National Nuclear Research University, and Moscow Institute of Electronic Engineering. By late March we are going to recruit our first students and start the training process. By December the program will be placed in the electronic register of «Rosnanotech» training programs. 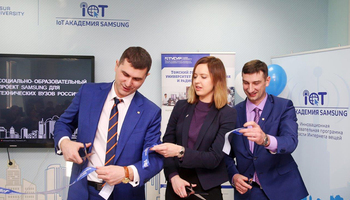 The first students to be trained according to this new program are employees of «Submicronnye Technologii» (Submicron Technologies), resident company of the Tomsk Special Economic Zone. In addition to staff retraining, advanced training of teachers is envisaged. The training program is being developed by the «Nanotechnology» Research and Educational Center established at TUSUR in 2008, in order to train top level professionals and carry out scientific research in the field of nanoelectronics and nanotechnology. 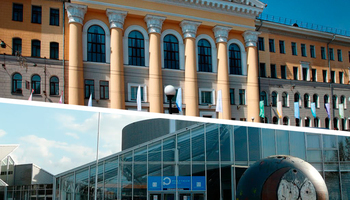 The Center is part of the Russian national nanotechnology network in the fields of «Nanoelectronics» and «Staff training».